Is confession always a Mystery? How often should one go to confession? 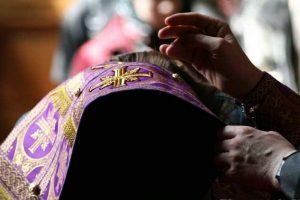 Are confession and Communion linked? How can one learn true repentance? Igumen Agafangel (Belykh) – clergyman of the Belgorod Diocese, rector of the Archangels Representative Church of the St. Nicholas Cathedral in Valuyki, and missionary – replies. Question: Fr. 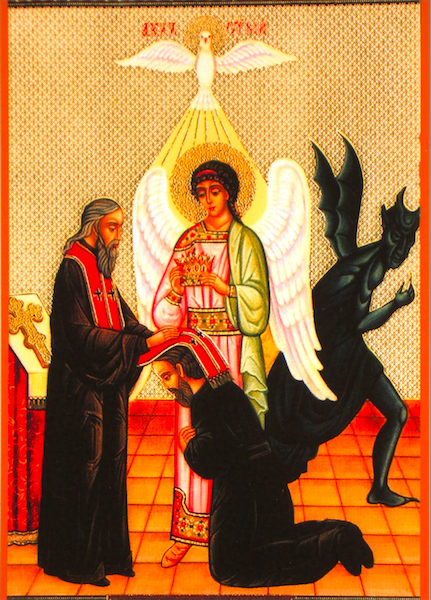 Agafangel, in the practice of the Russian Orthodox Church, the Mysteries of Confession and Communion are closely linked, and we go to confession often. But can’t the confession of someone who regularly participates in the Eucharist turn into the formal enumeration of sins? Fr. Agafangel: Let’s begin with definitions. We often hear the word “confession,” but this word often means different things. The ancient Church knew one confession: that before Baptism. Someone receiving Baptism repented (often publically) of those sins that we call mortal. These were offenses against the commandments on an ethical plane, contained in the second part of the Decalogue: dogmatic sins – heresy, mystical – disrespect of God, unbelief, and so on. It was assumed that once one had repented, one entered the assembly of the faithful through Baptism, being released from all one’s sins, and one had no need of repeating confession. If one lapses out of weakness, then one’s expelled from the society of believers. However, by the Middle Ages the monastery discipline of repentance developed, for one who led an especially conscious (and I would even say, an especially strict) spiritual life, it became important to reveal one’s thoughts to one’s spiritual father, who did not by any means have to be a priest. The revelation of thoughts bore the character of a spiritual conversation. One confided everything one had done that was unworthy, as it seemed, for the day. One asked for spiritual advice and received instruction from one’s spiritual father. What we today call confession has less to do with the Mystery of Repentance than it does with such a spiritual conversation. Can candy separate one from God? This is not the realm of the Mystery of Repentance. The unintentional violation of disciplinary practice does not separate one from God! Fr. Agafangel: I don’t accept the phrase “receive Communion often – every Sunday.” Regular Communion is prescribed by the canons of the Church: on the day of Resurrection, all the faithful gather in church and Commune of the Body and Blood of Christ. As a priest, I’m obliged to designate a sort of “Gospel space,” to build a kind of framework, so that people who come to church are aware of whether they are within this space or outside of it. If he wants to come in, then he talks about the sins – actions, words, thoughts that prevent him from doing so. Fr. Agafangel: People who come to Communion and confession regularly sooner or later come up against two problems: first, one or another sin constantly repeats itself; or, second, on the contrary, there’s nothing to repent of. On the one hand, nothing serious happened, but one has to repent in order to receive Communion; on the other, I repent and repent, but all this keeps repeating itself. Very often we perceive the above-mentioned organizational-disciplinary trifles as a sin separating us from God, which in fact might not demand the heavy artillery of sacramental prayer. This reduces the Mystery from the level of repentance to that of a pass for Communion. Repentance is the act of changing one’s mind, of metanoia. It’s not confessing sins that will inevitably be repeated until the end of our days. I suggest that those who come to confession to me open the Holy Fathers: with what were they tempted before death? The same thoughts, the same sins. True, they didn’t act on them, they successfully repelled the thoughts. But they were tortured by the same – albeit weakened – passions as the rest of us. Therefore, we don’t so much need repentance, as we need the awareness of sin and the certainty that we’ll no longer repeat it, and prayer for God’s help in warding off these passions. If you have the determination to get rid of such “regular” sin, it can’t be an obstacle to Communion and doesn’t require reading the sacramental prayer over you. But, I repeat, this relates to disciplinary offenses. Grievous, passionate violations of the commandments, addictions and the like, of course require God’s grace-filled help in the Mystery of Repentance. Question: However, Sts. Nicodemus of the Holy Mountain and Macarius of Corinth, in Concerning Continual Communion of the Divine Mysteries, say that the only condition for admission to Communion is a humbled heart and confession. Fr. Agafangel: But when “confession” is spoken of, it doesn’t always mean the Mystery of Repentance. In the New Testament we read: Confess your faults one to another (James 5:16). “One to another” – not to a priest or Apostle. The very word “to confess” means “to admit verbally.” I confess Christ as God – meaning, I publically acknowledge Him as my God. I confess my sins – meaning, before my brothers and sisters I acknowledge my sins. It is important for one approaching the Chalice to understand that what he has committed lies outside the “Gospel space” and that it’s only the Lord in His mercy Who allows him to receive Communion. That is, “confession of one’s sins” = “awareness of one’s own unworthiness” = the condition for being given access to Communion. Let’s return to where we began: to the existing practice of the Russian Church to perform the Mystery of Repentance as preparation for Communion. We live within this tradition; it’s existed for a long time; we didn’t come up with it; and it’s not for us to break it – that would bring more harm than good. But to talk, discuss, communicate to people that this is the particular practice of a concrete Local Church in a concrete historical period, and that in general the word “confession” has different meanings – this we should do. From such discussion is truth born. Question: In what cases is it essential to participate in the Mystery of Repentance? Fr. Agafangel: It goes without saying that mortal sins need to be healed through the Mystery of Repentance. In general, confession as a Mystery should take place according to your spiritual growth. When you understand that you have done something that until recently didn’t even seem terrible to you, but now you understand is simply impossible and impermissible, and you can’t understand how you could’ve allowed yourself such a thing – then you need to confess this sin in the Mystery. Question: Someone who regularly and actively prays, who focuses on spiritual growth, goes to church, and communicates with spiritual people will feel an increased need for the Mystery of Confession. But then the spiritual life declines, one’s social circle changes to the “counsel of the ungodly,” one stops praying, and falls into passions – and one also loses the need for repentance. There’s a sinusoidal development. Fr. Agafangel: It would be better to say a spiral: the constant growth in one dimension transfers to the quality of the other level. Why do we need spiritual intercommunication? So that our spiritual life would go upwards; so that we wouldn’t be self-deluded, so that we’d be sober, so that we’d have a healthy self-conception, understand our unworthiness, and ask for God’s help. I remember how, after my monastic tonsure, I was unexpectedly ordained a priest and sent to a city church. The rector there was a hard man and spoke to me like this: “Well, a false monk has come.” I went to the monastery and complained to Batiushka about harassment, but he laughed: “At least someone told you the truth to your face – you should be thankful to him!” You see what kind of spiritual conversation there was; it put me right in my place. Question: What are the spiritual dangers encountered when one confesses frequently or infrequently? Both sides seem not quite correct to me. Man is infirm, weak, and capable of falls. Recall the dispute with the Donatists: whether or not to accept those who had fallen away. The Church decided: yes, accept them – through repentance. This is the golden means. Repentance should not be frequent or infrequent. It should be appropriate and timely. On the other hand, someone who confesses daily does not approach the Chalice more worthy than he was before this. Excessively frequent confession leads not only to a profanation of the Mystery of Repentance, but to a false spiritual condition. It’s a terrible misconception to think that by confessing in great detail you can approach Communion. You can’t, ever. And you couldn’t, unless it were for the fact that the Lord God, in His mercy, burns away sins. Question: We know confession as the enumeration of sins. How can one learn true repentance? Fr. Agafangel: First of all, before taking each serious action, one should ask oneself: To what extent does this correspond to Christ? And one should have the determination to stop immediately if we don’t act according to the Gospel. If we transgress a commandment for one reason or another, we should immediately see our infirmity, our offence, our sin. 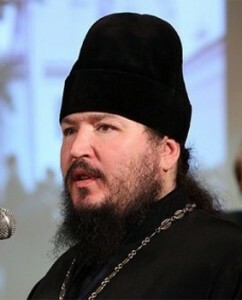 An Orthodox person, first of all, does not justify himself. This is the path to repentance. Question: Confession in an ordinary city church is a huge line to the priest on a Saturday evening or Sunday morning. What kind of profound repentance or serious spiritual conversation can go on here? Fr. Agafangel: Unfortunately, this is the reality that we have and that we can’t change. The priest should be accessible. One can choose a time during the week to give half an hour or an hour to those in need of help, so that later, in this long line, he won’t have to speak of questions of life and death in half a minute.